With IM Marketing you can maintain a single integrated database that combines the power of SMS Mobile Text, Instant Message, Email, Facebook, MySpace, and Twitter! Here are just some of the powerful and easy-to-use tools that we offer businesses and organizations. Mobile Marketing makes up a key foundation of IM Marketing's All-In-One Marketing. No other marketing media has proven to be as effective, speedy, and targeted. IM Marketing's Mobile SMS marketing can also be engaging, social and fun. Its features include group texting, mobile keyword, mobile voting, mobile coupon, and more. All you need is an ordinary computer with Internet to access our web-based software with nothing to install. Most of all, it is easy and very affordable. Find out how our mobile marketing can outperform email marketing, resulting in immediate and measurable impact on your bottom-line. Businesses and organizations utilize IM Marketing's web-based software for its Mobile Keyword technology and Bulk Texting Services. They utilize the Mobile Keywords to get people to opt-in to their mobile distribution list, and then using IM Marketing, they send out Bulk SMS Text Messages once they've accumulated a list of numbers to text. Setup as many Mobile Keywords as you'd like in minutes. When people text your keyword it automatically opts their mobile number into your database. Automatic replies are texted back to people that text your Mobile Keyword, and you can customize and change this auto-responder text at any time. Send the auto response message once per mobile number, every time the keyword is texted, or once per time frame (day, hour, week, or month). 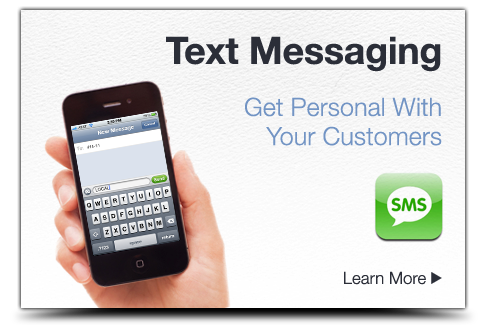 You can also send an Alternate Auto Response text message if someone has already texted your keyword before. People can text your Mobile Keyword followed by a message they want to send you. All of their messages will be captured in your Inbox or you can have them forwarded to an email or mobile phone of your choice. Automated and recurring messages can be sent to any new keyword signups. So if someone texts your Mobile Keyword you can setup an automatic text to be sent to them on day 1, day 5, day 30, day 100, etc. Have a notification texted to your mobile phone or emailed to you when somebody texts your keyword so you can follow up right away. Maximize your marketing strategy with the speed, convenience, and positive return from Mobile Coupons. You can now electronically offer free gifts, % discounts, incentives, and reminders to your customers with our Mobile Coupon Platform. You can also create unique promotion codes for each individual SMS Mobile Coupon and track the redemption and revenue earned from it. Create all types of fun and engaging SMS votes and polls and ask a multiple choice question with up to ten choices. As people vote via text messaging, every vote is categorized and automatically tallied so that it's really easy for you to see and analyze the results. We created a mobile text messaging reminder feature that allows you to easily queue and send automated appointment and reservation reminders via SMS. It’s perfect for Doctors, Dentists, Chiropractors, Day Spas, Tanning and Beauty Salons, Automobile Service Centers, and much more. Two-way text messaging (chatting) allows you to send messages back and forth to individuals. Recipients of a text blast can simply reply back to the text message and their responses will be captured in your Inbox or forwarded to an email or mobile phone of your choice. Easily export all of the replies and messages from the Inbox to an Excel file. Permanently remove and easily block mobile numbers right from the Inbox. Start your Instant Message Marketing campaigns now with our easy to use platform. Instant Message Marketing is rapidly becoming accepted in the business community as a viable communications tool and we are one of the only services to offer it. You can collect IM screen names using Online Sign Up Pages, or you can import a list of IM screen names so that you can start sending out mass IM blasts to AOL Instant Messenger and Windows Live Messenger (MSN). Tie your mobile phone to your account so that when you're not in front of a computer you can send out a single text message from your phone and message everyone in a distribution list on every mode of communication (SMS, IM, and Email). Setup recurring and automated messages to be sent out at certain days and times of the week, month, or year. Schedule messages for future delivery time. Compose mobile texts, instant messages, and emails that automatically address each recipient by their first and last name so it's more personal (merged fields). Select from over 100 stylish email templates or plug in your own custom HTML code. Update your status messages on Facebook, MySpace, and Twitter right from our solution. Easily select only certain area codes to send your text messages to. Quickly and easily Import and Export mobile numbers, instant message screen names, and email addresses via Excel files. Filter a list of opt-in phone numbers so that you send messages to mobile phones only. NOTE: IM Marketing does not allow sending messages to anyone who has not opted-in to receive messages from your business or organization (under any circumstances). The wireless carriers prohibit anyone from sending unsolicited commercial text messages. Easily identify and remove failed /invalid contact information from your database. Click on a distribution list to see the sign up date for each contact. Sort a distribution list by Source, Status, and Wireless Carrier.